Our Board | Our Community Cares, inc.
Our Board is made up of community members who have graciously volunteered to give of their time. They are teachers, business owners, professionals and other concerned citizens who have taken an oath to uphold the by-laws of the organization and see that the mission of the foundation is carried out in a responsible, respectable, ethical and efficient manner. We would like an additional board member who is actively involved in the southern area of the county. If you are interested, please send us an email. Lori has been a nurse since 1991 and has worked in the fields of disabled children, geriatrics and ventilator dependent patients. For the last 10 years, she has done private duty care, hospice work and respite care. Lori’s past volunteer service includes 12 years with Chatham Rescue Squad and 7 years with the Spencertown Fire Department. She also volunteers for Addiction Recovery. She also leads a weekly BINGO game for seniors and enjoys taking them to doctors appointments or shopping. 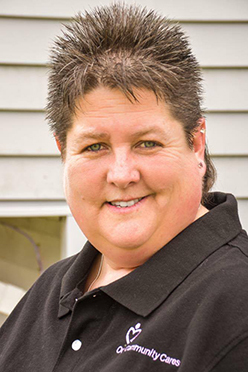 Lori has a nursing degree as well as past experience as an EMT and a Firefighter / First Responder and has served in several capacities for AA Services. She loves caring for people, meeting new people and helping others. She joined OCCi to “pay it forward”. She is a very spiritual person and feels her goal in life is to be of service to others. When not volunteering for OCCi, she enjoys the NY Yankees, softball, arts & crafts and Nascar. She spends a lot of time in nature with her camera and finds serenity in visiting the ocean. 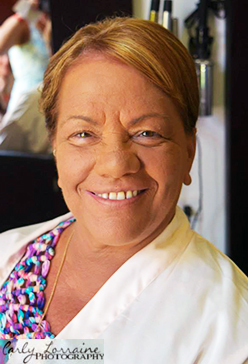 Dawn Steward is co-founder of Our Community Cares, Inc. and has served as Vice-President since 2013. Dawn resides in Ghent with her husband and has lived in Columbia County for the last 38 years, having moved from the Bronx in 1978. They are the parents of 5 children and grandparents to two. 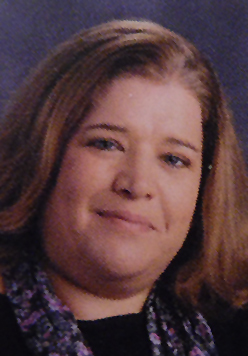 Dawn was a Technology Teaching Assistant in the Chatham School District for 10 years. She then began work in the Human Services field, having worked in eligibility at the Columbia County Dept. of Social Services, and as a Patient Eligibility Specialist for Columbia Memorial Health. Dawn currently is the Office Manager for the Chatham Film Club/Crandell Theatre. Dawn is a life member of the Chatham Rescue Squad and a member of the Ladies Auxiliary of the Chatham Fire Dept. She also is a past member of NAMI, (National Alliance on Medical Illness). While employed at Chatham Central she also served as advisor to SADD, (Students Against Destructive Decisions). Dawn holds an Associate Degree in Business Education and hopes to complete her BA in Human Services. Dawn’s experience in the Human Services field allows her to assist individuals with the application process for the many programs available to them during a time in need. Dawn has been involved with Human Services organizations since she was a child, volunteering for the Epilepsy Society of New York as a child. Her parents instilled in her the desire to assist others in need. She hopes to continue working in the community and expand the role Our Community Cares Inc. in its’ mission. Dawn enjoys spending time with her family. Her many pets including two parrots two dogs and a pig keep her very busy! 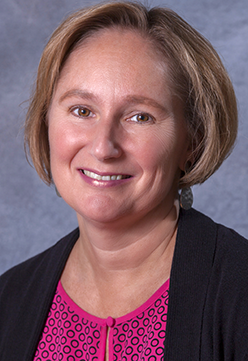 Amy Kneller joined the OCC Board shortly after it’s origination in 2013. She has been a Board member for the past 3 years. Amy graduated from Chatham Central School in 1987. A lifelong Columbia County resident, she currently lives in Valatie with her significant other Ed and their loveable yellow lab Rocky. Currently, Amy works at Columbia County Chamber of Commerce celebrating 12 years there in April. Her responsibilities include Accounts Payable, Accounts Receivables, the planning and execution of Chamber events, communication e-blasts and newsletters and much more. Previously Amy worked for Chatco/The Executive Line for 11 years in an administrative role. She also does house cleaning on the weekends. Amy’s past volunteer experience has been with her church and being a bell ringer for the Salvation Army. She also participates in cancer walks and events every year. Amy went to Hudson Valley Community College for two years and received an Associates Degree in Liberal Arts and then went to Siena College for 2 years and received a Bachelor’s Degree in Business Administration. She is a personable, community minded individual. Her current job at the Columbia County Chamber of Commerce has enabled her to fine tune her communication skills as she works closely with the business community. In addition, her financial responsibilities at the Chamber, which is a non-profit organization has fine-tuned the skills of working within a budget. Amy was drawn to want to volunteer for a greater cause with the hopes of making a difference in individual’s lives during difficult times. Her hope is to use her abilities and talents to accomplish and contribute what she can during her time on the Board of OCC. When Amy is not working or volunteering she enjoys cooking, baking, photography, yoga and gardening. Her all time favorite thing to do is spend time with the loves of her life, her nieces and nephews ranging in age from 1 to 24. The kids all love to cook and bake with her. Tracy Muller joined the board of OCCi in January 2013.She lives in Craryvile with her husband Fred and their two children Troy 20 and Regan 15. She was born and raised in Columbia County and graduated from Chatham High School in 1987. Tracy has been a Special Education teacher with the Hudson City School District since the fall of 1993. She teaches kindergarten and first grade. Tracy has worked with special needs children most of her adult life and has also volunteered as a respite worker. Tracy has a Bachelors in Special Education from SUNY Plattsburgh and a Masters in Educational Psychology from SUNY Albany. Tracy’s family has a long history of volunteer service and her hope is to continue that service through her position on the board of OCCi. Tracy enjoys spending time with her family, reading and going on family vacations. Marie Miano joined the OCCi board in 2014 as Treasurer. Born and bred in the Bronx she moved to Columbia County in 1992. She lives in Chatham with her fiancé Michael and her two cats Fred and Ethel. Marie worked on Wall Street for 16 years right after graduating from High School. She has held various positions since moving to Columbia County such as bookkeeper, accounting clerk and finance assistant. She has been employed for the past 6 ½ years for First Niagara Bank and currently is the Branch Service Supervisor. Marie is also a 24-year member of the Chatham Fire Department Ladies Auxiliary and held the position of Treasurer several times and a member of the Columbia County Ladies Auxiliary for which she served previously as treasurer. Marie has been a Sunday School Teacher at St. James Parish in Chatham for the past 13 years. This year she has joined the Leadership Team for the American Cancer Society Relay for Life for Columbia/Greene Counties. Marie brings with her to the board many years of working in the finance industry to aid her in her role as treasurer. Marie joined the board because she wanted to give back to the community that gave to her when she was going through Breast Cancer 5 years ago. The outpouring of donations, support and love she received during that time was wonderful and helped her get through what was one of the most devastating years of her life. Hearing those words you have Cancer is awful and she wants to be there for people ever since she experienced it first-hand. 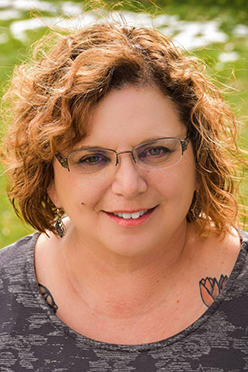 Marie enjoys traveling to the Caribbean, hanging out with family and friends, gardening , getting tattoos, playing with her cats, camping, shopping and currently has joined the adult coloring craze. Her favorite season is summer.